Chairman of Prescient Healthcare Group, and Satie8. Helping to build a global, world class drug development function from businesses based in Germany, France and the United States. Developing a drug research strategy for a major pharmaceutical company with centres on multiple sites to ensure that they worked together to a unified vision. Supporting the Head of Development to create an integrated organisation after the merger of two large pharmaceutical companies. Developing a strategy to achieve dominance in the oncology marketplace for a company with several oncology products. In 2001 he was part of the corporate strategy team for Andersen Consulting developing strategy for the global business and supporting the IPO on the NY Stock Exchange and the rebranding to Accenture. In 2005, he was one of the founders of Kinapse, a business focused on providing consulting and outsourcing services to the pharmaceutical industry. He was Chairman of this business from its foundation until it was sold to Hg Capital in February 2016. He supported its growth into a £27m revenue business employing over 500 people. This delivered a 75x return for the initial investors and a 16x return for Synova Capital who had invested in 2012. Supporting the UK Department of Health in understanding the attractiveness of the UK as a centre for commercial clinical research. Helping the CEO and CFO of a Contract Research Organisation identify strengths and weaknesses of their organisation and develop a strategy for growth. He has been an investor and supporter of several life science start-up businesses. This has included providing advice and support to the leadership of each business. 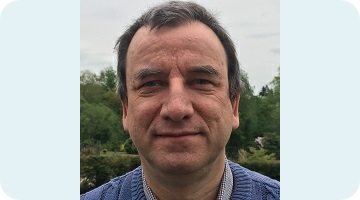 Nicholas is part of the Kilfinan Group - a network of senior business people who provide free and informal mentoring to charity chief executives. Nicholas is an Associate Fellow of Green Templeton College, Oxford. He previously chaired the Wealth Creation Oversight Committee of the Oxford Academic Health Science Network. He was for 7 years Chairman of Oxtex (developing a surgical implant device for skin expansion). He currently chairs Satie 8 (developing an anti-obesity treatment) and Prescient Healthcare Group (a specialty biopharmaceutical product strategy consultancy).